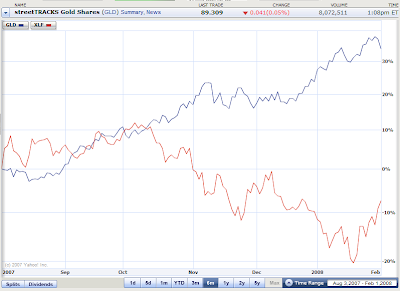 Or is this just financial stock short covering, and a short term pullback in gold? "The president proposes more of the same failed policies he has embraced throughout his time in office — more deficit-financed war spending, more deficit-financed tax cuts tilted to benefit the wealthiest and more borrowing from foreign nations like China and Japan," said Senate Budget Committee Chairman Kent Conrad, D-N.D.
What are you an analyst now?? Why don't you leave this to older and more experienced gals who don't have guts to take it on the street? So you're trading now... or what? Like the dude said, I thought u were a good trader who had grinded out +$$$ and just got sucker punched lately. Why don't u get back on the horse and apply your edge in the markets? At least keep the vids flowing. I found them very informative.